The origins of bands like Queens of the Stone Age, Eagles of Death Metal, Kyuss and Fu Manchu are just a few names in a seemingly infinite list of “Desert” bands that a new documentary on the subject seeks to explore. Desert Age attempts to decipher the rich and often complex musical history of a very specific type of music genre known as desert or stoner rock which the filmmakers trace back to the late 1970s. To date, no feature film has ever documented this history until now. For over eight months, Director Jason Pine has been accumulating interviews and archival materials relevant to what many desert rock fans have been wanting for years, an in-depth, exciting, honest and historically relevant documentary about the origins of their favorite bands. Using never before seen interviews and music, Desert Age exposes the interesting characters and places that formed a music genre akin to the punk scene in New York or the grunge scene in Seattle. The filmmakers are raising funds via IndieGoGo to complete the post-production for the film later this year and is slated to be released Summer 2015. A fiscal partnership with the UK based label Dissension, who represents Jesse “Boots Electric” Hughes of Eagles of Death Metal fame, has boosted the campaign effort and profile of the film significantly. 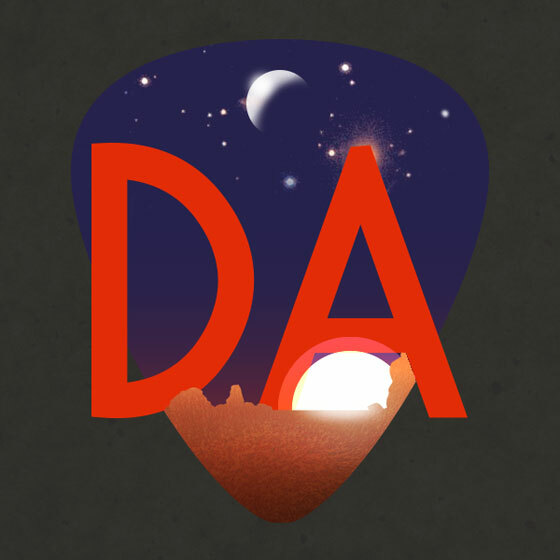 Director Jason Pine will be co-hosting a desert rock themed radio show on A Pint of Cacophany via the LA based Skidrow Studios today, Monday, July 28th in an effort to promote the film and pledge campaign. The show will feature an exclusive interview with desert legend and Eagles of Death Metal guitarist, Dave Catching. Jason Pine (Director): Received his BA in Studio Arts from the University of Pittsburgh and an MFA in Film Directing from the California Institute of the Arts. This will be his feature film debut having produced and directed music videos and in-depth short form documentaries for over ten years. Trevar Cushing (Co-Producer): has been producing both feature and short form documentaries for over ten years. Notable credits include work done exclusively for Vice Media, Burton Snowboards and Transworld. Do Less Media, LLC is an independent production company specializing in counterculture subjects ranging from obscure profiles on skateboard companies to international live concert shoots. And as a taster of things to come, check out the trailer Desert Age below.